The 2017 Volkswagen Tiguan in Orlando is a classy SUV that comes with a wide range of features and technologies that are designed to make your on-the-road adventures more rewarding. 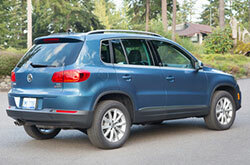 With its smooth lines and modern creases, the Tiguan is a looker for sure, but it offers much more than just good looks. It packs a peppy turbocharger underneath its hood that delivers smooth and powerful acceleration. 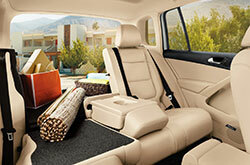 Plus, the Tiguan is dressed in high-quality cabin materials that provide ultra-luxe comfort and conveniences for all who hop inside. Keep reading our 2017 Volkswagen Tiguan review to get the whole story on this sophisticated SUV. The 2017 Volkswagen Tiguan in Orlando is available in four trims: S, Wolfsburg, Sport and SEL. Standard on the entry-level S is heated mirrors, automatic headlights and wipers, black roof rails and sporty 16-inch alloy wheels. On the entertainment front, the new SUV comes equipped with a 6.3-inch touchscreen, Bluetooth phone and audio, a USB port and an eight-speaker sound system. There's also Apple CarPlay, Android Auto and MirrorLink, thanks to VW's Car-Net App-Connect technology. A brawny 2.0-liter turbocharged four-cylinder that makes 200 horsepower and 207 pound-feet of torque powers every new Tiguan. Front-wheel drive and a six-speed automatic are standard, while all-wheel drive is optional. 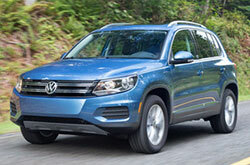 The vehicle is able to go from zero to 60 miles per hour in just 7.5 seconds, according to recent testing that is highlighted in one 2017 Volkswagen Tiguan review. Standard safety features on the new vehicle include front side airbags, full-length side curtain airbags and a rearview camera. On top of these state-of-the-art systems, there's also stability and traction control, which help make driving on adverse roadways easier and safer. Upper trims get even more advanced systems like automatic crash notification, remote vehicle access, a stolen vehicle locator and more. 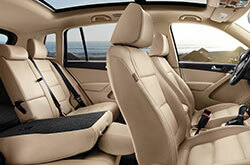 Stop by David Maus VW North today to find out why the Tiguan continues to be such a popular choice for Florida drivers! The esteemed 2017 Volkswagen Tiguan should be on your list of vehicle options, especially if you've been on the hunt for the 2017 Kia Sportage, Chevrolet Equinox, Honda CR-V and the Toyota RAV4 near Orlando. Chances are that it entirely complements your strict demands, with its plenitude of features and attention-grabbing looks from front to back. Look over our report to see if the 2017 Volkswagen Tiguan is ideal for your express needs. 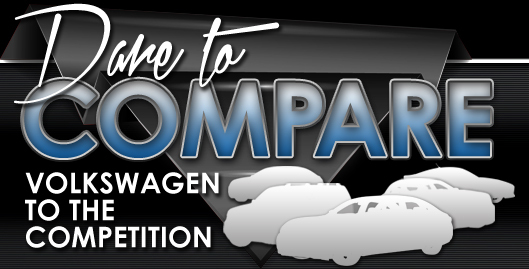 Also take a glance at new current lease offers available at David Maus VW North! 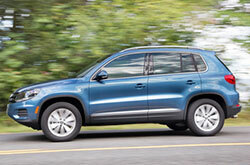 Among our broad collection of cars, the Volkswagen Tiguan is a sought-after option at our Volkswagen dealership. It's pivotal to make a discerning choice when shopping for a car, and we hope our 2017 Volkswagen Tiguan review assists you when it comes to this. Locate the brand-new Volkswagen Tiguan at David Maus VW North, where you can benefit from a test drive and experience the model personally. For those curious to see it right now, we've embedded a video walk-around that highlights its interior features.